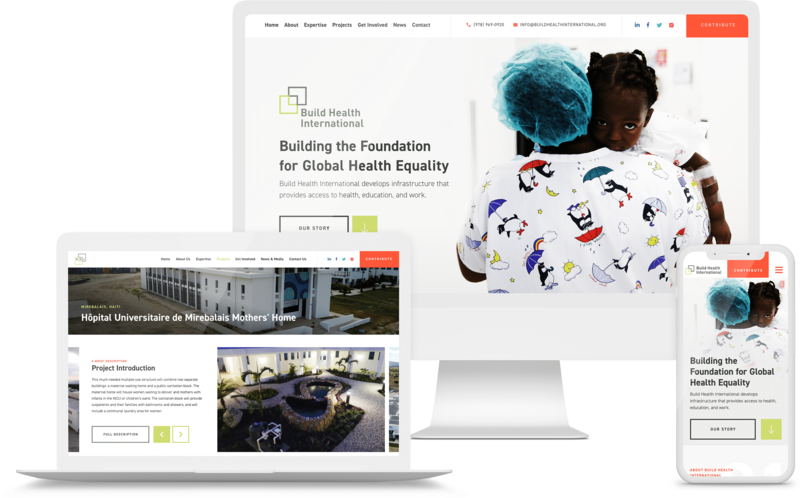 Build Health International promotes global equity by developing high-quality health infrastructure to enable access to dignified and affordable healthcare in impoverished and resource-constrained regions of the world. Global health organizations seeking facility support in under-resourced regions routinely face two imperfect options: importing models and methods from the Global North, designed without regard to local efficiencies, or utilizing under-resourced assets that are unable to deliver the quality and durability needed. Build Health International (BHI) offers a third alternative - a common-sense approach to infrastructure that allows for delivery of high-quality care, that can also be operated and maintained in a resource-constrained setting. After getting to know the BHI organization, besides being quite impressed how they are impacting the world in a positive way, we heard their challenge about communicating their brand mission, values and projects in the right way. Through thoughtful and empathetic UX and Design planning, we worked together to design a set of fresh and considerate pages that would speak to their target audience. After that, developing all pages within a bootstrap responsive framework for a more user-friendly mobile/tablet and of course desktop experience focused on users from all over the world and in their target geographical areas. We know the BHI team felts this project was a success and excited to watch them continue to grow their brand/organization with the help of their new digital presence website channel.